Who doesn’t love a little Mexican mixed with their Italian dishes? If the word Mexican is placed in front of the word food, then it is game on kids. A friend emailed this recipe to me months ago and I only just recently tested it out. Yeap, I’m an idiot. Or I’m completely lazy. Not sure which description fits me best here. So please don’t make my mistakes. Instead, just go ahead and make this now. -brown ground beef. drain. return to saute pan. add taco seasoning. prepare according to package directions. 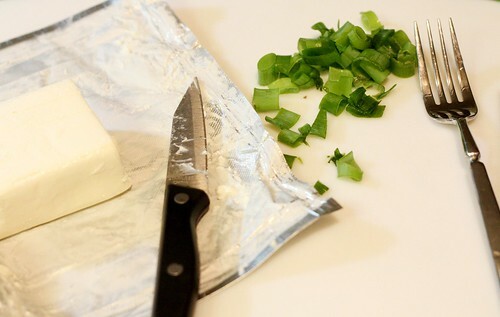 -add cream cheese, cover and simmer until cheese has melted. mix well. set aside. cool completely. -pour salsa/sauce on bottom of 9×13 inch baking dish. 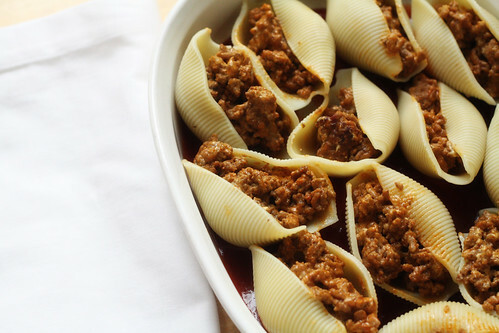 -stuff each shell with meat mixture. place shells open side up in baking dish. -cover shells with taco sauce. -cover and bake for 30 minutes. -add cheese blend and bake another 10-15 minutes. Serve with a pitcher of margaritas. Or a nice bottle of pinot noir. I mean let’s be honest, this dish has a total identity crisis. On our first night in the suburbs, our dear friends, Mark and Emi, invited us over for dinner. 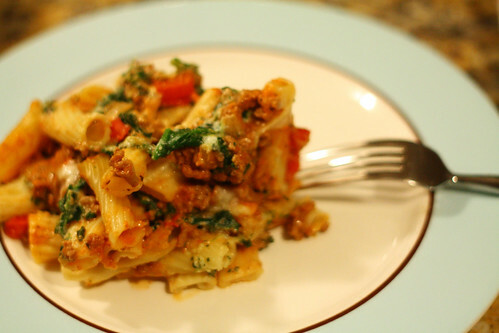 Mark had spent the afternoon making Baked Ziti, one of my all-time favorite dishes. 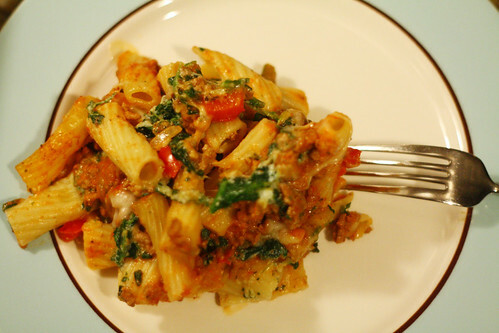 Because I love Mark and Emi … and because I love me some Baked Ziti, I asked him if I could include his recipe as part of my Your Recipes series. He kindly obliged. Sautee the onion and red peppers in butter or olive oil and season to taste. And as always, have a seat and enjoy. I made meatballs last night. Remember how I am obsessed with pasta? Well, I’m obsessed with meatballs too. 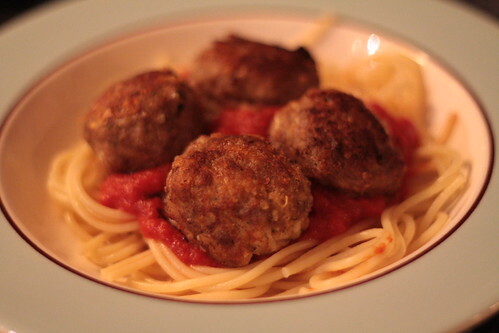 And although I’ve already posted one recipe here for meatballs, I found another one last night by Martha Stewart. First thing you should know is that I don’t have the ingredients Martha keeps on hand. I’m more of a Sandra Lee type cook, not a Martha Stewart type cook. I like to keep things nice and simple. And let’s be honest, Martha Stewart doesn’t fall into the “simple” category. Preheat oven to 350. Place breadcrumbs in a bowl and drizzle with the milk. Set aside, let stand. Place meat in mixing bowl. Add crumb mix, onions, garlic, eggs, seasoning, cheese, salt and pepper. Mix together well. Make into balls. Keep your hands wet to help keep the meatballs moist. Yes, I said it. Set aside. Heat the remaining olive oil over medium-high heat. 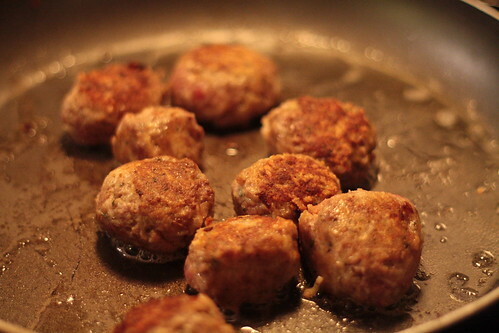 Working in batches, add meatballs, browning on all sides, about 5 minutes. To finish, you can either let them cook in the sauce or you can transfer to a baking sheet. Bake at 350 for 12-15 minutes. And yes, this is the simplified version. Oh and if you’re wondering, these make for incredible meatball subs. Not that I would know anything about that (says the girl with pasta sauce on her white shirt). As it’s Sunday, most people actually enjoy a nice dinner…or supper if you’re from Alabama. So here’s yet ANOTHER lasagna recipe to add to your collection. This comes courtesy of my new favorite magazine, Food Network Magazine. Please note I’ve actually made a few minor changes as I don’t want zucchini or carrot in my lasagna…and I’m too lazy to make my own sauce. Heat 1/4 cup olive oil in a very large skillet over medium high heat. Add the garlic, cook until golden, about 1 minute. Add ground beef and brown, then drain. Meanwhile, mix the ricotta, egg, and parmesan in one mixing bowl while combining the mozarella, provolone, salt, pepper, and fresh herbs in another. Layer sauce and meat with just enough of the mixture to cover the bottom of the skillet. Lay 2-3 noodles across the sauce mix. Then cover with more sauce- then ricotta mix – then mozarella/provolone mix. Repeat the layers. Finish it off with a lyer of noodles and remaining sauce. 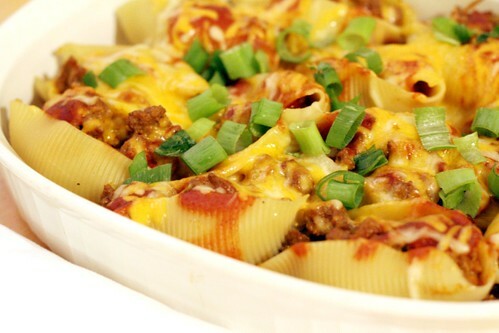 Cover and simmer until the lasagna is cooked through, the noodles are soft, and the cheese has melted, 20-25 minutes. Let rest for a few minutes before slicing. Garnish with remaining parmesan and fresh herbs. Have plenty left over for tomorrow’s lunch. Trust me, I think it’s actually better the second time around. I mean come on! Look at those layers. Prosciutto, thick mozarella, tomatoes, arugula, some sauce I’ll never learn how to make and that bread….oh lordy the bread. There are no words. World, this sandwich may be the food equivalent of the love of my life. I think I may have to have you for lunch tomorrow. This is my lasagna. Say hi lasagna! I know, when you think lasagna, you think it seems too difficult to make, right? Guess what? If I can make it, ANYONE CAN MAKE IT. Trust me on this one. Let’s get started shall we? And now let’s put it all together, shall we? Preheat oven to 350. 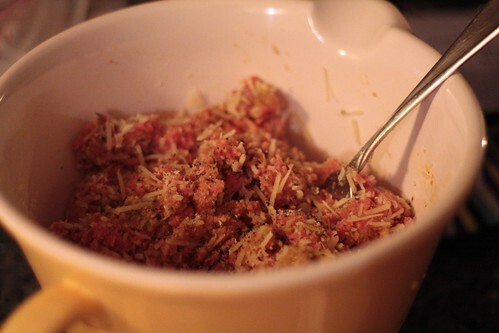 Season ground beef with garlic powder and oregano. In a skillet over medium heat, brown the ground beef. Then drain. In a large sauce pan add the marinara, tomato sauce, and oregano. Set aside. In a separate skillet, heat olive oil. Saute your garlic and onions for 5 minutes over low to medium heat. Now, mix your onions and garlic with the ground beef into the sauce and cook for 15-20 minutes. While the sauces are bubbling up, combine the mozarella and provolone in a medium bowl. I n another medium bowl, mix the ricotta, eggs, milk, and oregano. Layer a 9×13 in. baking pan/casserole dish with just enough sauce to cover the bottom of the pan. Lay 3 noodles across the bottom. Cover with sauce- then ricotta mix – then mozarella/provolone mix. Repeat the layers. Finish it off with a lyer of noodles and remaining sauce. Top it with a nice heaping dose of parmesan. Bake covered at 375 for 30 minutes. Uncover and bake for 15 minutes. And there you have it. Easy, huh? 2 cups cooked white rice, cold- if you’re in a hurry, go cheap….buy the boil in a bag kind and when it’s ready, run it under ice cold water. Brown the chicken until no longer pink, set aside. Heat oil in the same skillet…be ocd and wipe it out clean since you’ve now cooked chicken and eggs in it..dirty; add onion and saute until soft. Then add rice, soy sauce, pepper and chicken. Stir fry together for about 5 minutes, then stir in egg. Serve hot. 1. cook the rice the day before / way ahead of time and keep it in the fridge overnight. (There’s just something a little more authentic about “sticky” rice.) It works much, much better than my above instructions of running it under ice cold water. 2. Use sesame oil instead of vegetable oil. Heck, you can even substitute sesame oil for butter. And then reheat until the rice can’t take being nuked anymore….